SAN DIEGO, Calif. /California Newswire/ — Syntax Creative is pleased to announce a new deal with Elevation Church, which Outreach Magazine named in 2015 the 15th largest church in America. Pastored by Steven Furtick, the multi-site church with 20,000 weekly attendees calls over a dozen locations home, including its base in Matthews, North Carolina. 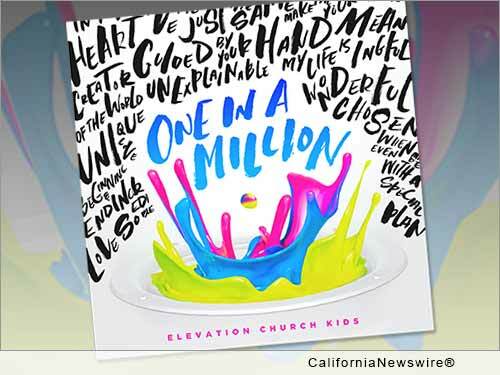 Elevation Church will release its second Kids Worship album, "One In a Million," worldwide on April 29, which is available for pre-order now at iTunes, Amazon and Google Play. "I'm really excited about the release of our second Kids album," Furtick said. "Our teams have done an amazing job putting this project together and I believe 'One In a Million' is an album of worship that will have the whole family singing together!" Elevation Church's first Kids album, "Undefeated," topped iTunes's top-selling children's music chart and charted on Billboard. Endorsements of its music have come from NewSpring, Saddleback, NorthPoint and Hillsong Kids. Syntax Creative is one of the top independent digital distributors, design firms and marketing agencies, representing more than 120 record labels. Their impressive list of clientele includes Crossroads Label Group, Central South, Daywind Records, Free Chapel, Frontline Worship, CAJO Records, Crossover Church, Discovery House and Fearless Music, among others. To learn more, visit: http://syntaxcreative.com/.